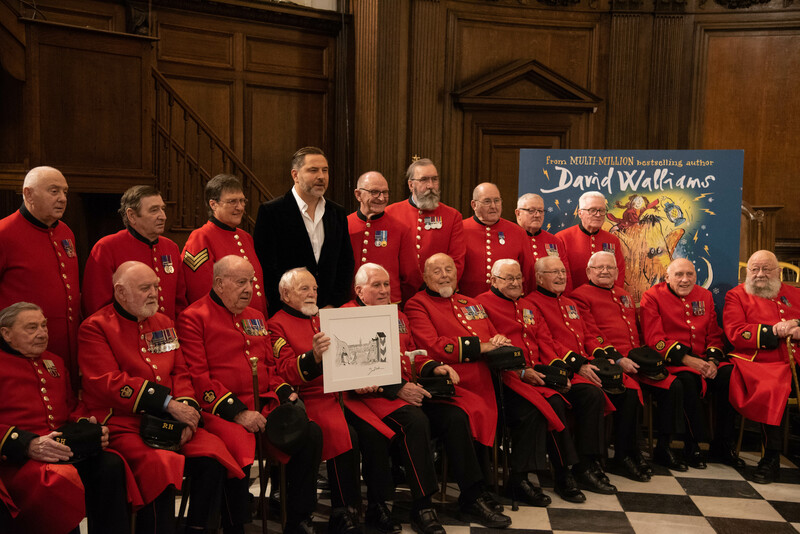 David Walliams, the UK’s current best-selling author, invited Chelsea Pensioners and their grandchildren to the launch of his latest book, The Ice Monster, which includes a very special scene with a Chelsea Pensioner at the Royal Hospital, on Sunday November 25th. 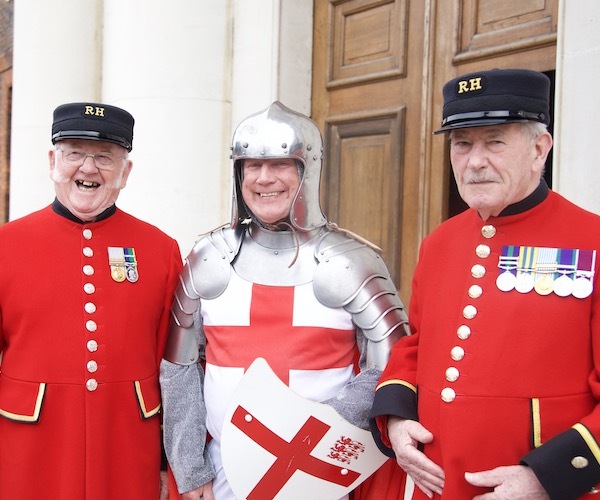 Held in the Royal Hospital's Great Hall - one of the settings used in David's fictional children's book - the event kicked off with a welcome and introduction by Chelsea Pensioner Arthur Currie. 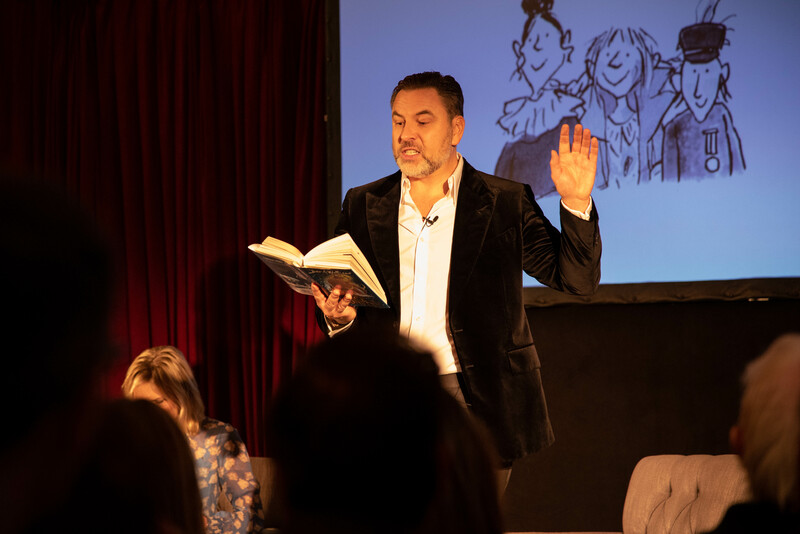 BBC 2 Radio host Jo Whiley then interviewed David Walliams about his new book and life as the nation’s favourite children’s author. 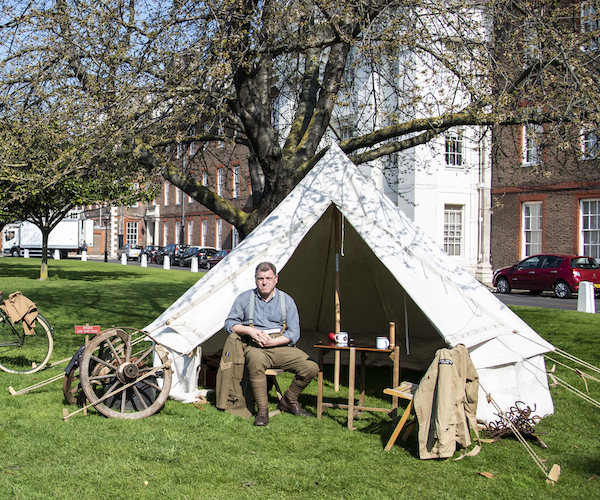 David Walliams treated guests to a reading of an excerpt from his book, detailing a scene where the Matron of the Royal Hospital Chelsea comes face to face with a woolly mammoth. 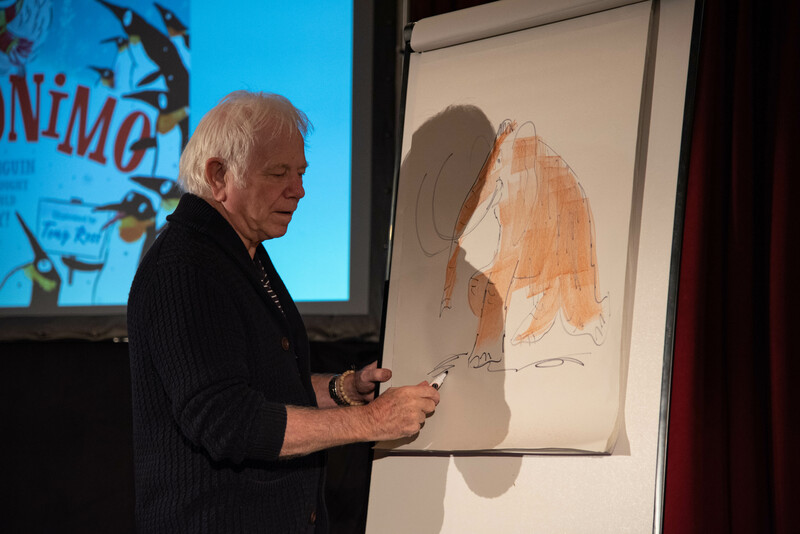 The book’s illustrator, Tony Ross, joined David on stage to talk about the creative process behind his captivating drawings. 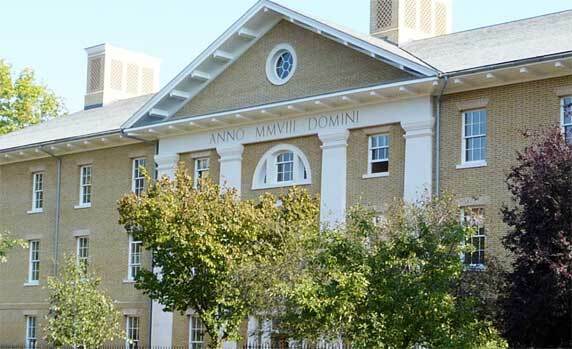 He wowed the audience with a live illustration which was gifted to one of the children in attendance. 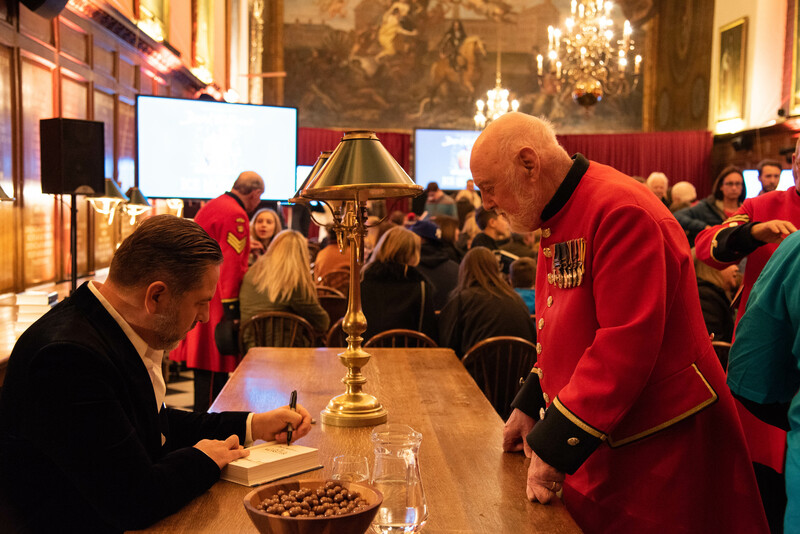 After the talk, both David Walliams and Tony Ross took the time to sign books and talk to the Chelsea Pensioners and their families. David Walliams’ new book The Ice Monster is on sale now.